We are proud to open our portfolio to those who want to understand the types of resume services we provide and the style of resumes that we produce. Please take note of the content and how we entwine core competencies with selected achievements throughout each sentence. For a resume service to be effective, we need to centre a resume towards an intended market and target accordingly. 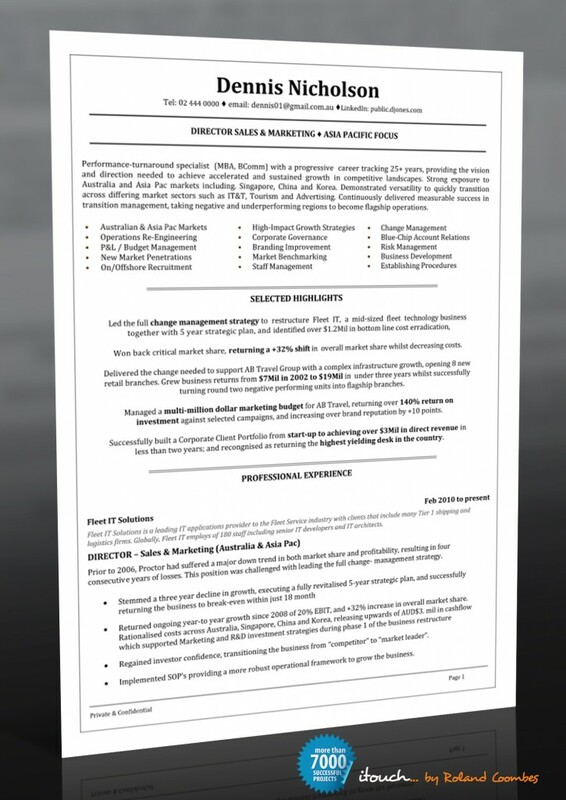 The following is a Sample Sales & Marketing Resume. itouch resume services, experts in resume services and curriculum vitae (CV) writing Sydney, Melbourne, Brisbane, Perth, Canberra and nationally.